There’s something for every taste in mainland Greece. Find out what can satisfy your cravings. Mountainous Evrytania is a year-round delight for nature and adventure lovers, who head to the central Greek region for mountain climbing, trekking, skiing, horseback riding and motorbike tours. The densely forested prefecture is Greece’s highest (most of it lies above 1,000m) and is almost entirely made up of mountains, such as popular ski destination Mt Velouchi (also known as Tymfristos), below which Karpenisi, Evrytania’s capital, is situated. Among its most picturesque traditional villages are Megalo and Mikro Horio, Voutyro, Koryschades and Prousos, each rich in noteworthy sights, beautiful monasteries, churches, museums and all enshrouded by lush nature. Much of the prefectural capital itself has surrendered to the less than pleasing aesthetic standards of the modern age, as evidenced by its apartment buildings and nondescript town center, yet one can still enjoy its stone bridges and pretty churches, cozy and attractive guesthouses and nice little restaurants. Evrytania’s rustic cuisine has acquired a noteworthy reputation, with dishes inspired by delicious, locally produced foods such as katiki and tsalafouti cheese, handmade hilopites pasta (much like fettuccine but cut into small squares), a prosciutto that has put the area on the national map, quality pulses, as well as top quality honey and a mulberry tsipouro (a pomace brandy). 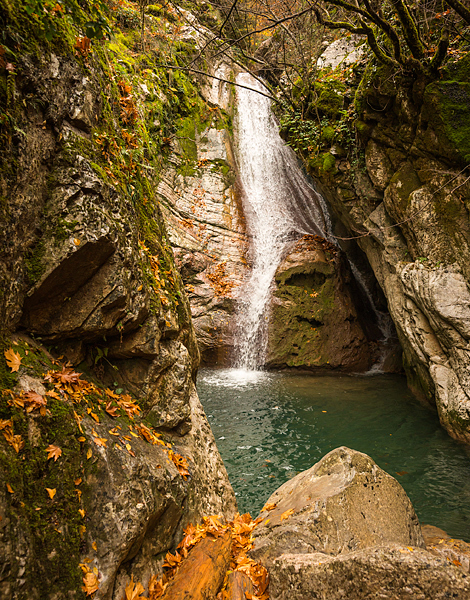 One of the area’s greatest charms is its natural water, which can be relished throughout the region in the form of streams, waterfalls, lakes and rivers, such as the Agrafiotis to the east, Acheloos in the west, Granitsiotis in the northwest and Megdovas in the east. The region has become renowned for the wild Ionian (or West Balkan) trout (Salmo farioides) that thrives in the Krikellopotamos river and Kremasta lake, while trout is also farmed in Megalo Horio near Karpenissi. 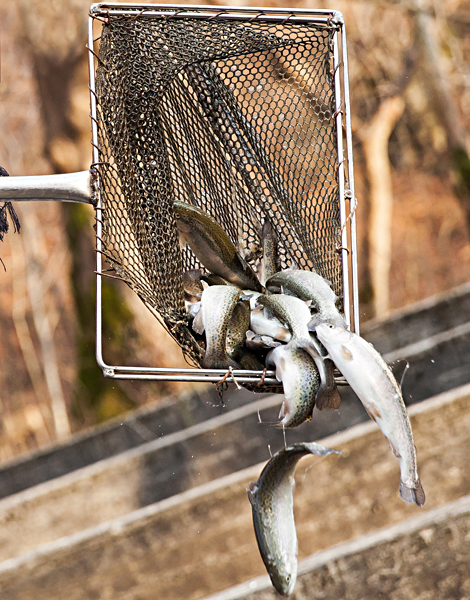 The local Trout Protection Association prohibits trout fishing from November 1 to February 15, which is the reproductive season for this fish, in order to maintain stocks. 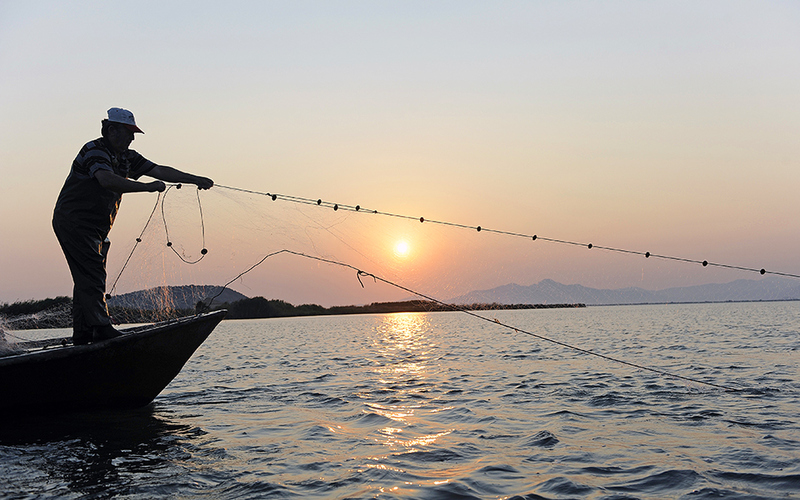 While touring the Ambracian Gulf, it’s well worth talking to the lagoons’ traditional fishermen, called Ivarades, to learn about their history and methods. An enclosed expanse of the Ionian Sea, the non-touristic and tranquil Ambracian (or Amvrakikos) Gulf is around 40km long and 15km wide, and fed by the Arachthos and Louros rivers. This has led to the development of freshwater marshes, rich ecosystems and biotopes that are home to a plethora of flora and fauna. The gulf is surrounded by lagoons that are separated from it by sand dunes. 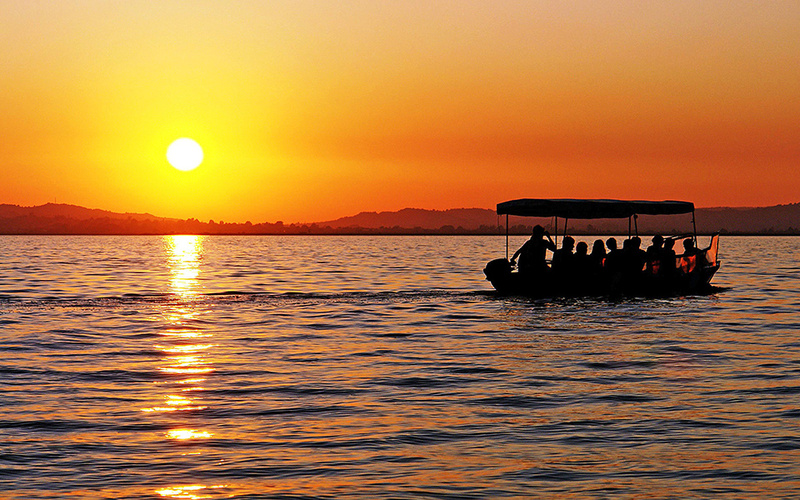 The most impressive lagoons –Logarou, Tsoukalio, Agrilos and Rodia – are located on the northern part of the gulf. Rodia is one of Europe’s largest wetlands, a factor that only serves to enrich the area’s biodiversity. The scenic area is a paradise for bird watching, as there are 294 recorded species, of which 101 are rare or endangered. Not a place where you will find bars, cafes, nightclubs or fancy accommodation, the idyllic Ambracian Gulf is geared for long walks on the surrounding low hills of Profitis Ilias, Mavrovouni and Salaora. The islet of Koronissia, a pretty fishing settlement with beautiful views of the gulf and reputed to be a great place to see awesome sunsets, is popular for its quality fish tavernas, great cycling routes and, in August, several cultural events themed on folk and religious traditions, such as the Sardine Festival and the feast of the Dormition of the Virgin Mary. Not well known to tourists, the lush Rodia wetlands are a delightful area to explore. If you’re lucky you may come across the swamp “monster” more scientifically known as the Eurasian bittern, whose outlandish call has generated legends. To get better acquainted with the region’s wonderful wildlife, take a day tour led by experienced environmentalists to see dolphins, turtles, birds and more in their natural habitat, while also learning fascinating facts about the culture and history of the area. While touring this area, it’s well worth talking to the lagoons’ traditional fishermen, called Ivarades, to learn about their history and methods. Most of the area’s inhabitants make their living from fishing, as there is a plethora of cuttlefish, mussels, sole and eels. Yet the Ambracian Gulf is most famous for its large gabari shrimp (from the Italian word for the crustacean, gamberi; it’s Melicertus kerathurus in Latin). Usually fished in May, it has been a prominent component in the local diet for thousands of years and is still served at restaurants throughout the region. Apart from its succulent flavor, the large shrimp is characterized by its particularly long antennae, a blue, red and yellow coloring on the tail and bright yellow stripes on the shell. At restaurants in the village of Koronissia and the nearby towns of Arta, Parga and Preveza, you can try the freshest gabari in a multitude of boiled, grilled, baked and stewed renditions, as an appetizer or a main course. 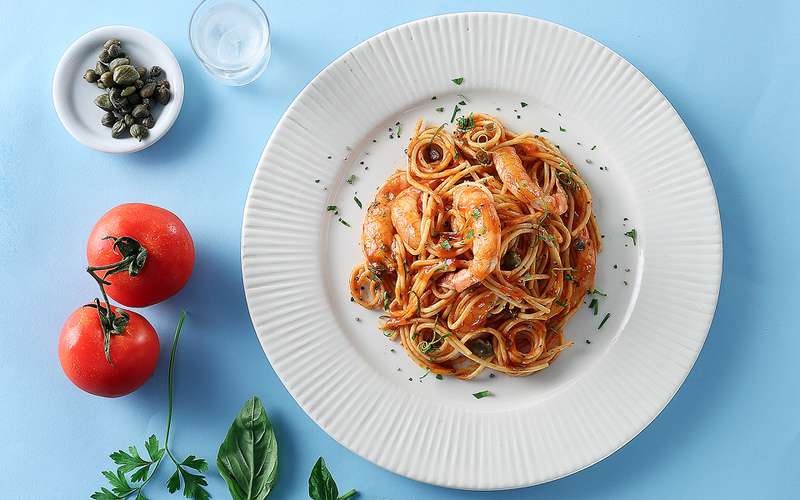 A traditional recipe for the shrimp is a dish made with zucchini, potatoes, garlic, onion and tomato, while the shrimp is also a popular component in a rich tomato sauce cooked with chili, garlic and wine and poured over pasta. 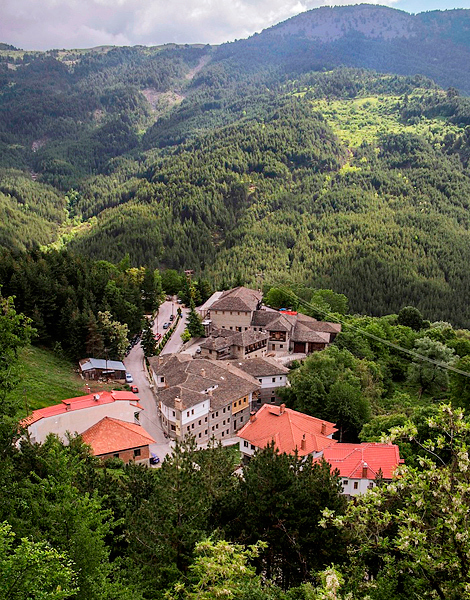 Amphitheatrically built at an altitude of 1,200m on the verdant, northern Pindos mountains and overlooking the Metsovo river, Metsovo is the picturesque homeland of Greece’s Vlachs, who are thought to be descendants of Roman legionnaires and natives who settled in the Balkans. With Ioannina to the north and Meteora to the south, the village is Epirus’ cheese and wine-making capital as well as a popular ski destination. Scenically traditional to this day, cool-weathered Metsovo is idyllic throughout the year but especially in winter, when leisurely hours can easily be whittled away by winding through cobblestone streets; trying local dishes in cozy tavernas, accompanied by a good bottle of velvety Agiorgitiko wine; watching the world go by at cafes in the main square across from Aghia Paraskevi church; or staying at one of the traditionally built stone, wood and slate houses. There is a great deal to see just a hike, mountain-bike ride or short drive away, too. Activities range from outdoor sporting adventures on the surrounding peaks and hills to visits to the Averoff Museum, Baron Michael Tossizza Foundation, Folk Art Museum and Aghios Nikolaos Monastery. Nature lovers can explore stunning natural sites such as the artificial Aoos Springs Lake or, southeast of that, the 1,705m-high, centuries-old Katara Pass (one of the highest in Greece) on the border of Thessaly and Epirus. The Katogi Averoff Winery, owned by one of Metsovo’s most famous and important families, offers tastings, tours and even has a charming hotel fit for true wine lovers. If you find yourself in Metsovo in May, you can also follow or participate in the 40km Ursa Trail or 20k Tracks of the Bear races. When in Metsovo it’s essential you sample the nationally beloved Metsovone cheese, which is modeled on Italy’s provolone. A century ago the Averoff-Tositsas family sent young men from local cheese-making families to Italy to learn sophisticated techniques. Upon returning to their homeland, the youths were encouraged to teach and share their knowledge in order to generate a strong cheese tradition. With a pliable texture and shiny finish, Metsovone is semi-hard, naturally smoked, stretched-curd cheese made from four-fifths cow’s milk and one-fifth goat’s milk,. It enjoys protected designation of origin (PDO) status. 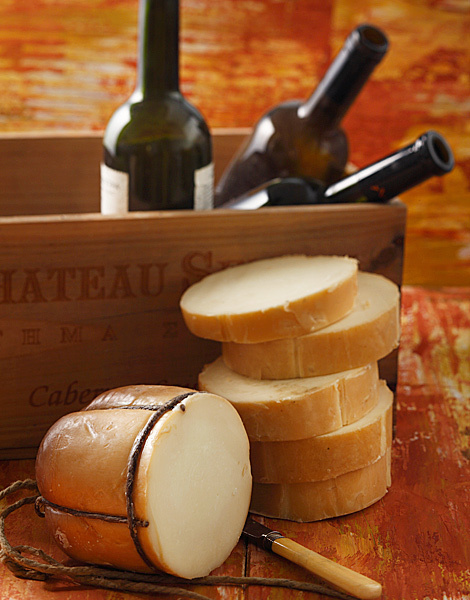 As well as Metsovοne, graviera (gruyere) and Vlachotyri goat cheese. A popular favorite, smoky Metsovone is commonly used to flavor various traditional dishes, especially traditional handmade pies, or in its most mouthwatering melted (saganaki) form, is often sprinkled with paprika. Fortunately, hard cheese travels fairly well, so if you fall in love with Metsovone or other local cheeses, you’ll be able to find them all at I Pygi, run by Dimitris Boubas, who will happily advise you on your purchases depending on your tastes and needs. The cheeses, all produced by the Tositsa Foundation cheese factory (open to visitors on Fridays by appointment only, Tel. (+30) 26560.412.35), are just some of the local food products to be found here as Pygi (Tel. (+30) 26560.421.63) is also well stocked with local vegetables, hilopites pasta, jams and preserved fruits. Upon entering Grevena city, which lies in the southwest of the Western Macedonia region, you will come across a highly unusual statue. It’s not a monument to a hero from the 1821 Revolution or a prodigious politician, as you may have seen in many Greek towns, but of a giant dark gray hand holding up white mushrooms. 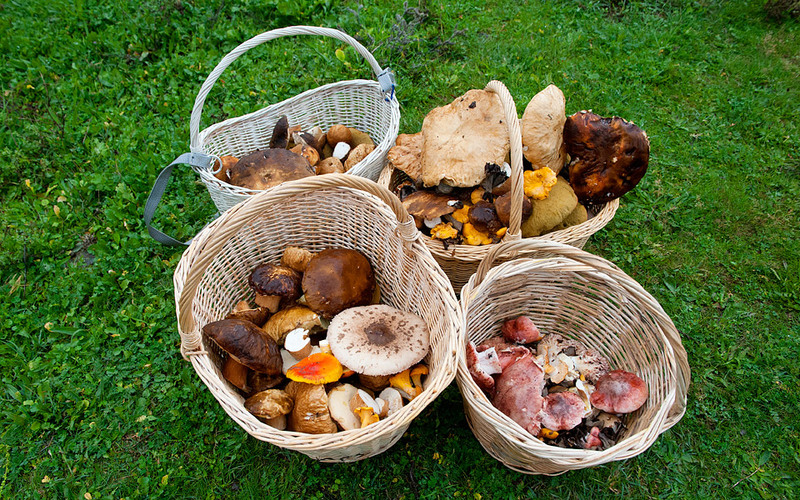 Welcome to the City of Mushrooms, as Grevena was officially designated in 2007, in recognition of its more than 2,000 varieties of the tasty fungus. Bordered by Kozani, Trikala, Ioannina and Kastoria, Grevena is surrounded by natural beauty that calls for lengthy exploration. Within the city itself you can visit various cultural spaces such as the Ecclesiastical Museum at the Cathedral, or the Municipal Natural History Museum in nearby Milia to take in the awesome sight of Guinness World Record-breaking tusks belonging to the 12-ton mammoth that was thought to have roamed there 200,000 years ago (in 2017 the city will play host to the 6th International Conference on Mammoths and their Relatives). Another must-see cultural institution of Grevena is its Mushroom Museum, located in Lavda village, where mushroom sculptures, photos, illustrations and audiovisual displays reveal the fascinating details of the very product that has put this area on the world map. During wintertime Grevena draws visitors from across the country to its top-notch Vasilitsa Ski Resort in the heart of the Pindos mountain range, 42km from the city and accessible via the Egnatia Odos motorway. 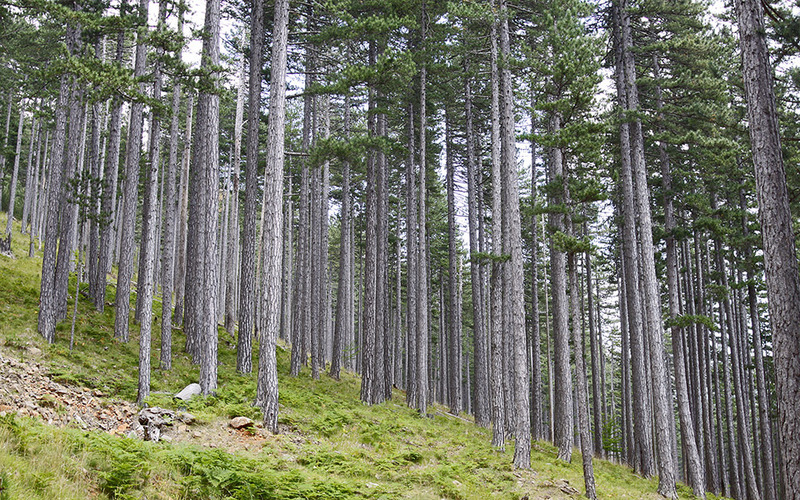 Another area that lures adventure sports fans to the Pindos mountains is the stunning, 6,927-hectare Valia Calda (warm valley), one of Greece’s most precious national parks and renowned for its rich biodiversity. More than 17 species of mammal, including the bear, wolf and wildcat live there, as do over 70 bird species, 10 reptile species and seven kinds of amphibians. Incredibly beautiful, Valia Calda is blanketed with thick forests of black pine and beech, lush alpine meadows and over 415 plant species in total, including 18 types of orchids. Of course, a cornucopia of mushroom species all coexist around sparkling streams, waterfalls and rivers. 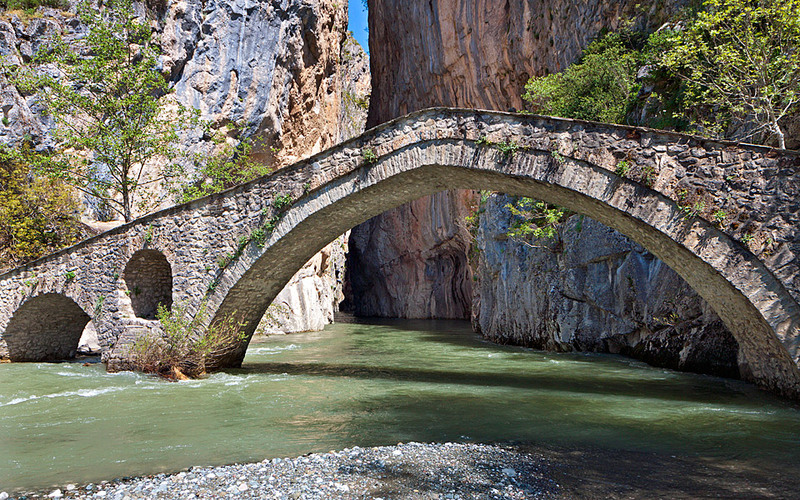 Hikers can also explore beautiful Ottoman-era stone bridges such as that of Portitsa and Aziz Aga; the huge Grevena Cave above the Velonia river, where the Panagia Spiliotissa monastery stands; and the forest-encroached, charming traditional village of Samarina, whose cobblestone central square oozes rustic charm. Spot the pine tree growing from the roof of the Megali Panagia church in the village. Grevena’s mushroom-mania has led to the production of almost 40 food products based on the famous fungus. Pasta, risotto rice, dried soups, bulgur wheat, pickles, spoon sweets, preserves, liquors, pasteli sesame bars and loukoumia (Turkish delight) based on all mushroom shapes, sizes and types, can be bought at local shops or sampled at cafes and restaurants. You can find all of these, as well as a plethora of fresh, wild mushrooms, at the Manitari Shop (42 13th Oktovriou, tel (+30) 24620.281.01). Located around 100km from Thessaloniki in the northwestern part of Serres prefecture, the Natura 2000-protected, artificial Lake Kerkini is a pristine and enticing natural wonderland that easily distances one from urban reality. Surrounded by the Belles mountain range to the north and Mt Mavrovouni to the west, the area is home to an impressive diversity of flora and wildlife, including brown bears, foxes, wild boars and mountain cats, as well as around 300 species of rare and protected birds. In January and February, the waterfowl population reaches an incredible 20,000 birds, making it a top birdwatching destination in Greece. The scenic lake attracts explorers and adventure-lovers throughout the year, who come to hike in the mountains; visit the ruins of Byzantine and Ottoman-era forts and churches; enjoy the hamam with curative mineral springs at Agistro; bathe at Therma outside Nigrita town; go canoeing or kayaking along the Strymonas river and its many tributaries and distributaries; or go horse riding in Lailia forest. 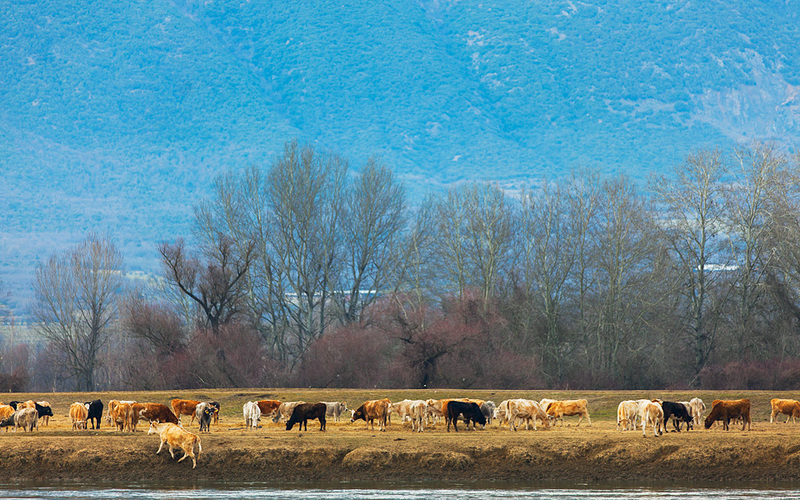 Lake Kerkini is also home to some 3,000 water buffalo – the largest population in Greece. The animals, which were recorded as inhabiting the area millennia ago (there are even records of Persian King Xerxes (518–465 BC) using them to carry military supplies across the Strymonas river), had nearly become extinct by the mid-1980s, when their numbers had dropped to around 380, a dramatic decrease considering that in the period before World War II there were 70,000 of them. The main reason for their demise was Greece’s decision to import cattle from Holland from 1950. Decades later, however, with the help of European Union subsidies and various community entrepreneurial and private initiatives, the buffalo meat and dairy industry in the area began to recover and thrive. Buffalo products such as meat, sausages, kavourmas (a confit that here is made from buffalo, goat and pork), salami, as well as dairy products like milk, cheese and yogurt (also used to make popular desserts such as Italian-style panna cotta and Turkish-style kazan dibi), have the added bonus of being healthier than beef and cow’s milk products. Not only are Lake Kerkini buffalos chiefly freerange and grassfed, but their meat is higher in protein and lower in fat, while their milk has higher levels of calcium, iron, riboflavin and B12 and lower amounts of cholesterol than cow’s or goat’s milk. The popularity of these products has drawn many visitors to the restaurants around the lake, where among many other local delicacies based on the lake’s fish and the local vegetables, dishes using buffalo products, like soutzoukakia (spiced meatballs in tomato sauce), hearty stews, fried kavourmas and handmade pasta with buffalo cheese, have developed a distinct flavor profile in their own right. 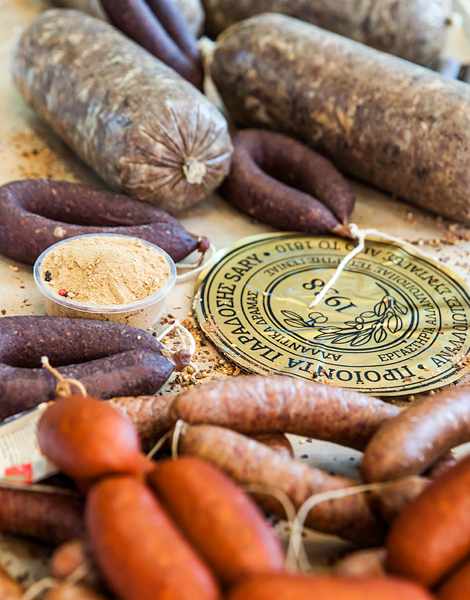 If you happen to jump onto the buffalo meat bandwagon and want to take some of the products home with you, there are several quality shops selling a variety of buffalo products, including some that have gained recognition as national gourmet goodies. 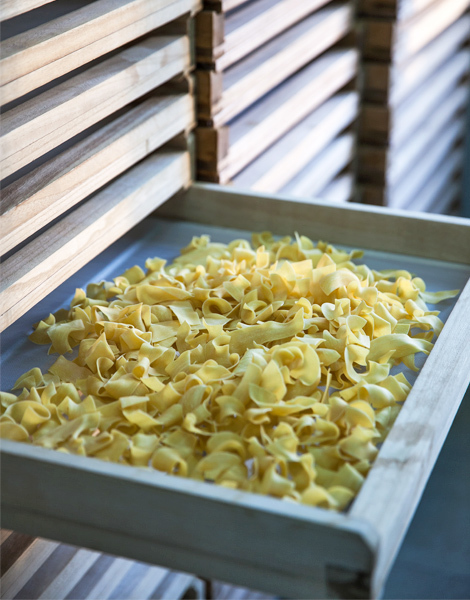 Gefsis in Lithotopos sells a variety of local specialties from hilopites pasta made with buffalo milk to sauces, honey and sweets (tel. (+30) 23250.416.07 and 693.703.7078). To Hasapaki in Rodopoli has gained nationwide fame for its “gourmet” kavourmas, which the shop’s owners can suggest many culinary uses for, quality meat and sausages (tel. (+30) 23270.220.93 and 697.722.6943). For buffalo cheese and yogurt, call Georgia Andreadou (tel. 23270.310.96). The youthful Kerkinis Gi cooperative sells products like tea and syrup made from chokeberries as well as emmer wheat pasta made with buffalo milk (tel. (+30) 23270.233.01).